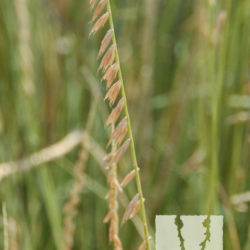 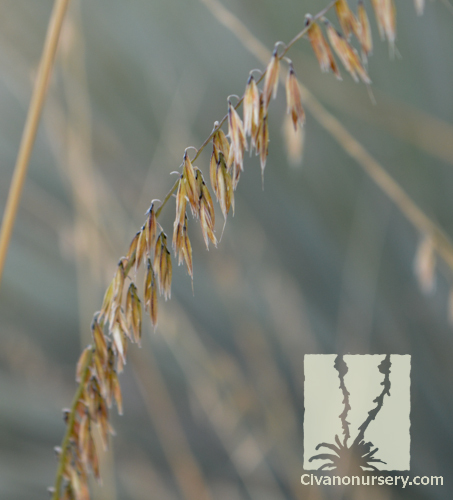 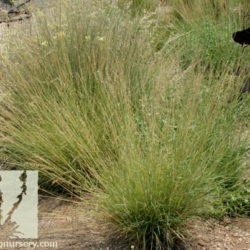 Side Oats Grama is a drought-tolerant clumping grass with bluish green leaf blades and unusual flowering stems. 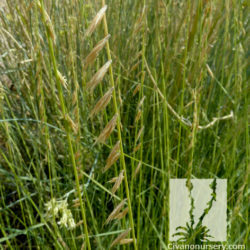 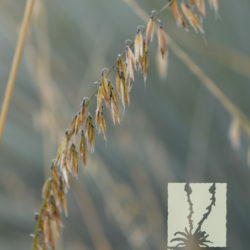 Seed spikes hang on just one side of the flowering stem, resembling oats as they dry and turn brown. 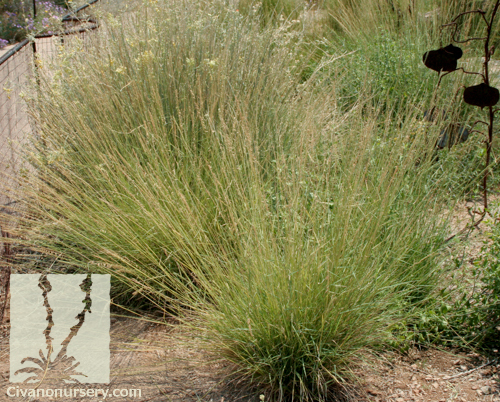 Foliage turns a warm golden brown in the fall, and the lower foliage may turn shades of red or purple. 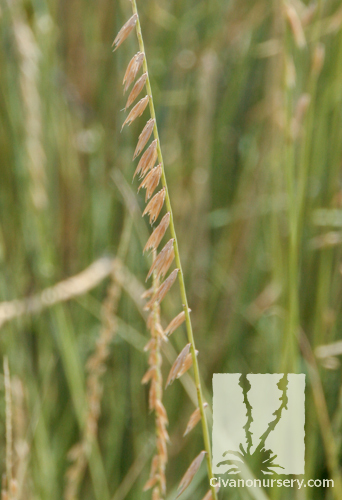 Once a staple of the buffalo’s diet on the North American prairies, it is now an invaluable addition to native plant and wildflower gardens because it stays so short. 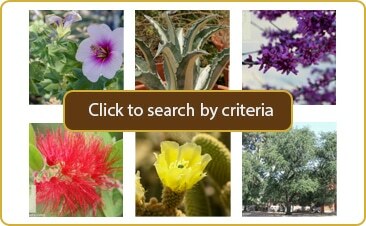 Plant on gentle slopes and hillsides or in natural gardens as a filler and wildlife refuge.